The biggest brands love Magento! Do you want to build your online business – your site – on the most powerful and flexible global E-commerce platform that out performs all others – then choose Magento! Magento 2 provides ECommerce developers with the building blocks to build and power your Ecommerce platform. Its modular architecture offers optimal flexibility, complete accessibility and an extensive set of control features – all designed and developed to be particularly user-focused and user-friendly. In the global arena of ECommerce, Magento 2 tops the multiplicity of e-commerce scripts as the trusted platform of choice for many thousands of digital retailers and wholesalers. Its intuitive UI elements, very efficient marketing tools, integrated SEO and many other exclusive features make it the number one choice for the world’s leading brands. Magento 2’s vast array of functionalities and refined elements such as multi-store management, report propagation, mobile commerce, marketing, SEO and retail management tools elevates the Magento 2 platform to new levels of excellence. Its user friendliness encompasses stunning options that enable users to generate accounts, prepare a wish list, keep track of order records and the current status of the latest shopping order. It provides the user with the facility to take part in customer surveys and discussion forums. It also provides the customer with a choice of language and currency as an option. A really poignant feature is Magento’s ability to integrate into your Google Checkout, Google Analytics, and Google Base accounts. It assists the customer as well as the product support team to track, upload content and filter orders initiated by customers. From a site navigation angle, Magento 2’s improved features with “the layered navigation” enables the user to control categories much more than previously, in an intuitive way. Other features available include advanced search, wish lists, preferences, multi-store facility, product comparisons and grouped products. Magento also provides a content management system for static pages and SEO performance. Magento 2 development includes integrated SEO, providing optimal optimisation of the ecommerce platform for Google. There is an efficient integrated management system for page traffic, duplicate content, landing page and indexing which are all crucial elements in the SEO management context. Desired website changes can be effected speedily with ease. Updated content can be achieved in a few simple steps. A great time saver through an easy process is the facility to present a new page or sub navigation. This is helping businesses to create better methods of not only attracting but also engaging and converting their target customers. Online payment options for different customers is greatly enhanced with the option of approximately fifty payment gateways integrated with Magento’s ecommerce website. Magento 2 provides a single platform for multiple stores. Previously, multiple store management was a complex tiresome issue but Magento 2’s evolution has enabled the creation of a unique catalogue for each store rendering the multiple store management a trouble -free zone. Inventories, orders and shipments are also easily managed in the upgraded system – making life much easier for the online customer to order, purchase and track shipment. Magento 2 provides a reporting capability that is much more fluid and responsive than other ecommerce platforms and is able to give a detailed analysis of every online deal being done on the website. These reports constitute a real asset to online entrepreneurs in creating strategies and making decisions about investments and forward planning. With Magento’s regular upgrades there is always the assurance of integrating the latest technological developments that keep your ecommerce platform not only up to date but ahead of the competition so that your site remains fully functional, dynamic and responsive to customer queries, driving traffic and conversions with as few clicks as possible. 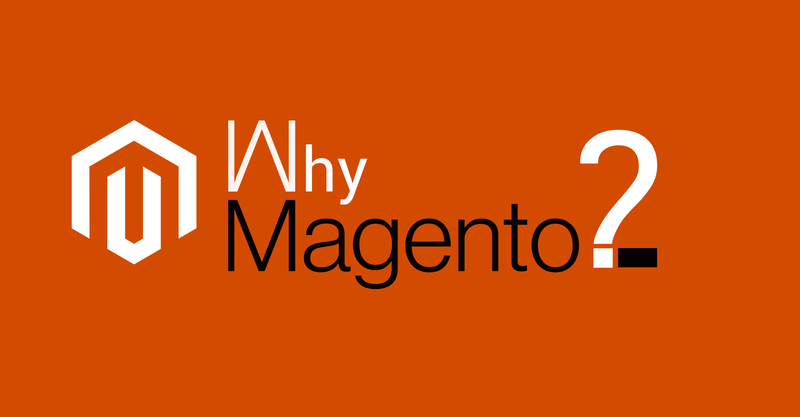 In essence, Magento 2 is the de facto next generation ecommerce solution of choice. Its technical advancements makes it easier for Merchants, who are currently reaping the benefits of the platform upgrade with increased customer engagement and conversions, to maintain and run their website quite independently.